Walking around the Toronto International Boat show there was one booth in particular I was excited to check out and that was the Starcraft Marine Fishing booth. When I had heard that the company who has been building boats for over a century had basically remodeled their entire fishing line-up for 2016 I had to go see it for myself. The new models features new heros like the Titan and familiar faces like the Fishmaster but the one that caught my eye was the Renegade 168 DC. Standing for Dual Console the 168 DC is one of three Renegades, all sitting at 16 feet 11 inches. So on the bigger end of the 16 foot line this boat also features a brand new red and black colour scheme with a silver splash graphic up each side. The design is stylish, eye catching and sharp. Picking up a brochure I flipped to the Renegade page and I almost dropped the book when I read the 168 has a boat only dry weight of under 1000 lbs at 975. You think about it even when you add fuel, gear, a motor, oil, more gear you’re still well under 2000 lbs. That means you can tow the Renegade behind any light SUV or mid-size sedan with a tow hitch. 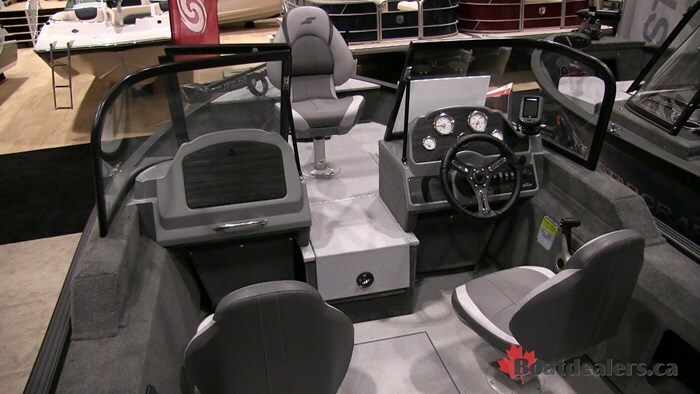 While my personal preference is dual consoles, I have seen pictures of both the side console and tiller model of this boat and they have open floor plans with plenty of space to move about, two fishing seats, six seat bases and a standard vinyl floor. Even though it’s a hair under 17 feet that doesn’t mean this boat isn’t well equipped. There is a 25 gallon stern livewell with bait bucket and an 18 gallon bow livewell. There is storage for 6 rods in the center walk through and there is even “bow rider style” storage in the floor that you can toss some extra life vests into. The helm on this boat is well equipped with a gauge package and room to mount an optional graph or an AM/FM stereo unit with Bluetooth. The full wind shield gives great coverage and doesn’t interfere with the line of sight. The popular upgrades for this boat include the Power Package which gives you a bow mounted trolling motor and sonar package. This boat is going to be perfect for fishing those smaller lakes with lots of structure so a trolling motor is a must. 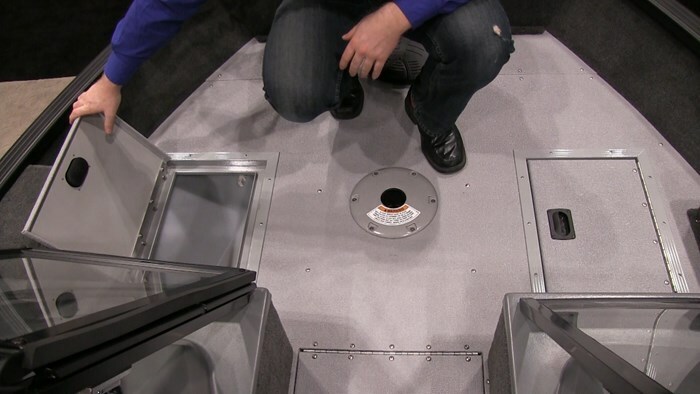 While this boat has plenty of fishing features one of the best features of this boat is the Limited Lifetime +6 Warranty. What this means is that any of the “hard” surfaces like the 7-ply floor, the aluminum, the seals, cleats etc. 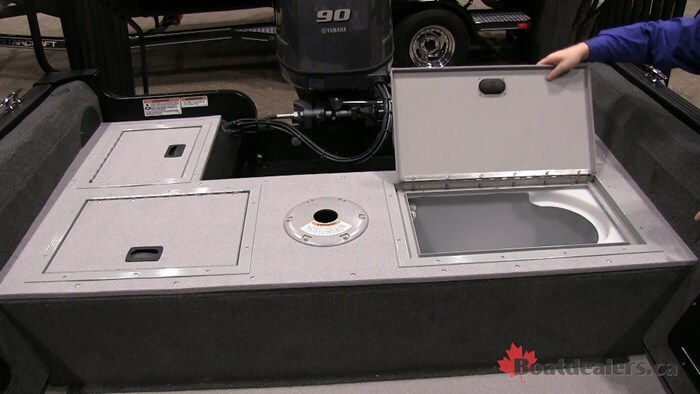 are guaranteed for life and the “soft” items like vinyl, seats, wires and connections and gauges are protected for 6 years - the best warranty in the fishing segment. 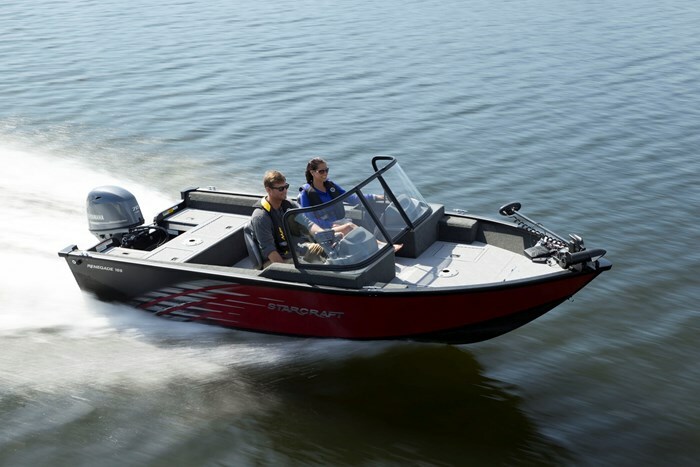 It’s nice to know that when you buy a Starcraft, and even though it’s one of their smaller ones, that it’s protected and they stand behind every boat they build. But then again it isn’t exactly surprising when you point out the fact that they have been building boats since 1903 and are still family owned to this very day. When you purchase a Starcraft you become a member of the family - you should see their reunions!